The Ink Trap: Yoga Yolanda at Art Impressions! Hey, all! I'm back today with my Wednesday card for Art Impressions. Visit the Art Impression Blog for daily inspiration from the Design Team. 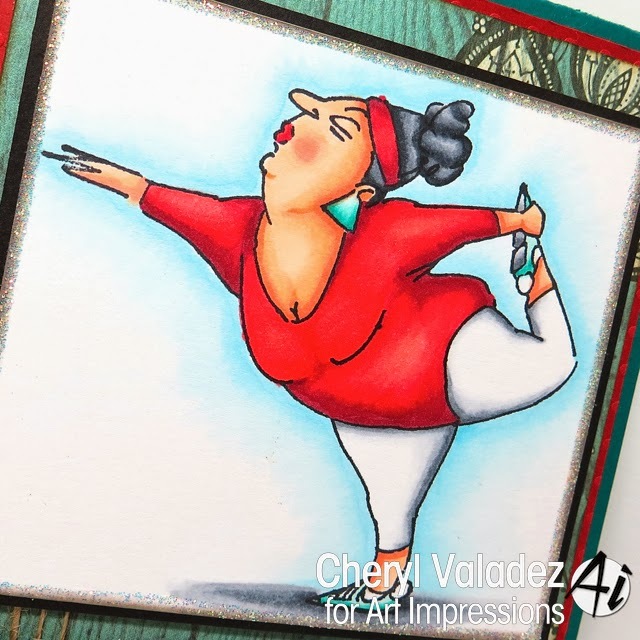 Today I'm sharing a card I made using the Yoga Yolanda Set. You can find it in the Art Impression shop along with LOTS of other fabulous images.